Elevate your Disney style with fanciful hair bows and headbands by Shiny Sky Rainbows that will show off what you love most about DISNEY! Bows that are so sparkly you are bound to stand out from the crowd. Shiny Sky Rainbows hair bows will transform a blah day to the most magical day ever! Check out my favorite bows from this quaint shop I found on Etsy! This darling Dole Whip inspired bow is incredibly delectable and the perfect bow for any Dole Whip fanatic like me. With just the perfect touch of shimmer and shine the pineapple shaped barrette is topped off with a sparkly, yellow hibiscus flower. 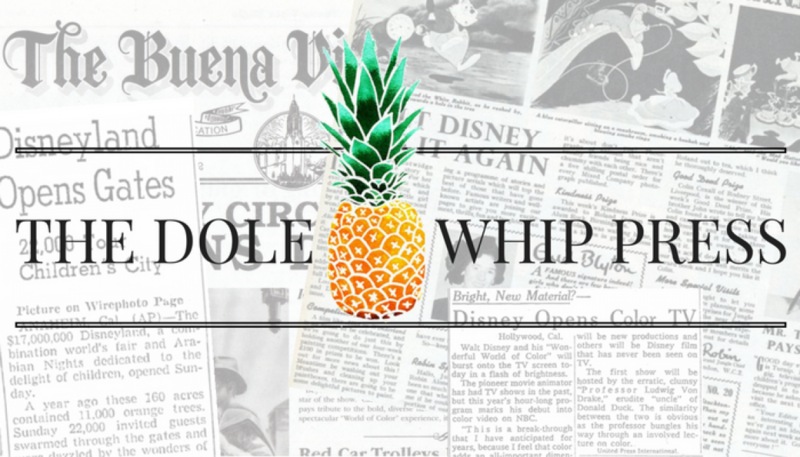 Pair it with the sweetest soft serve Disney treat and you will feel like a Pineapple Princess! Satisfy your sweet tooth with a swirl lollipop hair bow. Inspired by Main Street USA’s Confectionery; one of my favorite shops to roam through! The sweet smells of candy and all things sugary bring back childhood memories from some of my first visits to the Magic Kingdom. 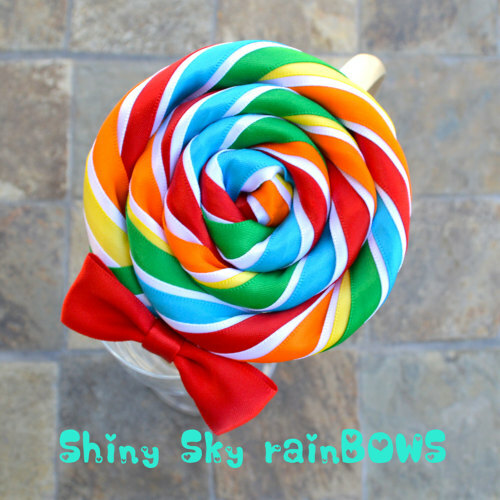 The multicolored bow is brightly vibrant and a perfect replica to the famous Mickey Swirl Lollipop’s. Channel your inner mermaid with this Ariel inspired hair bow. Shaped like a starfish, this Ariel flower bow is made of soft grosgrain ribbon and embellished with a gold starfish center. Life is the bubbles under the sea! Perfect for your little Disney Princess! Yeehawww! This rootin tootin Jessie insprired headband will intrigue you to yodel your heart out! Made with a thin, light headband and topped off with a miniature cowgirl hat just like Jessie’s! You will be an honorary roundup member as you roll and ride through Frontierland. Look how darling it is matched up with this Jessie inspired dress by One Two Three Shop! All bows are customized to your desired clip (alligator clip or french barrette) and can be made into a headband! Let your imagination be your guide and dress your best Disney Style with Shiny Sky Rainbows.